How Tall Is That Feather? I print, laminate and add velcro to attach this to my large flannel bulletin board. 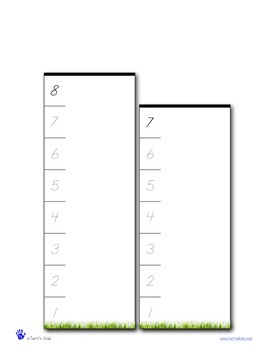 I use it to teach the concepts of shorter/taller, counting, and comparison. 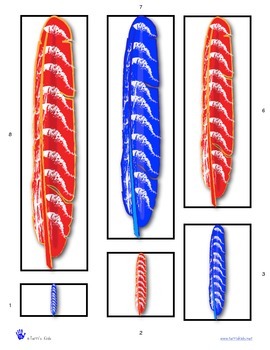 Then I give the feathers to the kids and let them find the correct measuring box that the feather "fits" in. 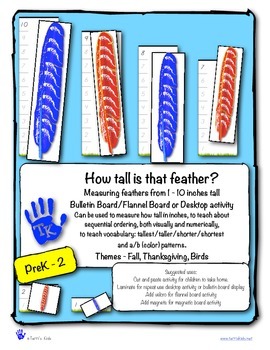 Then we count the numbers and figure out "How Tall is That Feather?" 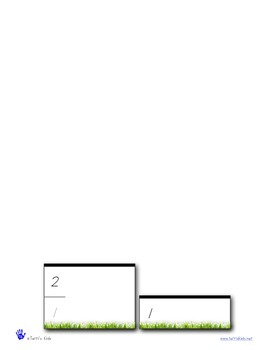 I have also printed out a second set, cut and laminated it, and put it in one of my many "shoebox" activities, that the child can work with during free choice time.